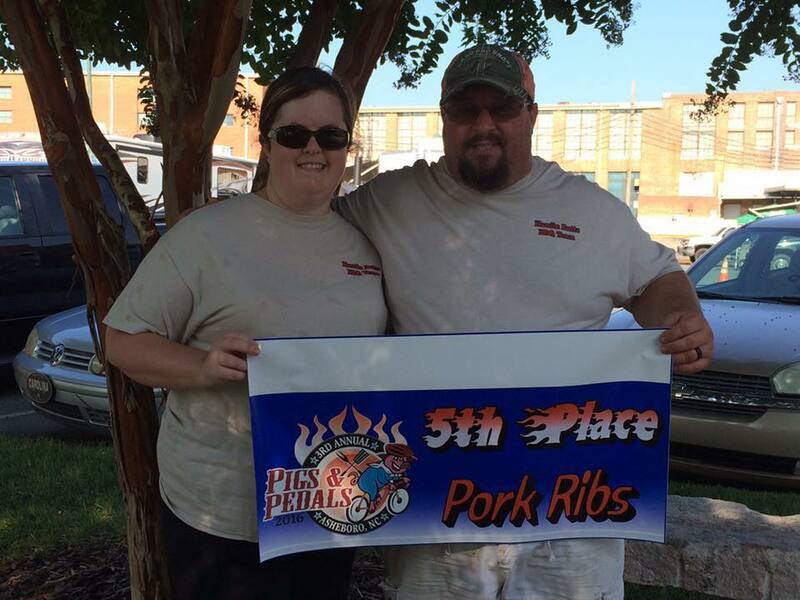 Had a pretty good weekend at Pigs & Pedals in Asheboro, NC!! We placed 5th in ribs, 15th in chicken, 30th in brisket, a stinky 43rd in pork, and an overall 27th place finish out of 47 teams. I guess you could say that we did pretty good to be our first competition of the year!! Thank you to my family for coming and supporting me today in the heat!! Thanks to my sponsors at Grill-Billies BBQ, Bud Williford at Carolina Cookwood, and Myron Mixon Smokers. And I can’t forget Jim Burg of Killer B’s BBQ, and Mat Griner of Big Show BBQ Cooking Team for all of their advice and help this weekend!